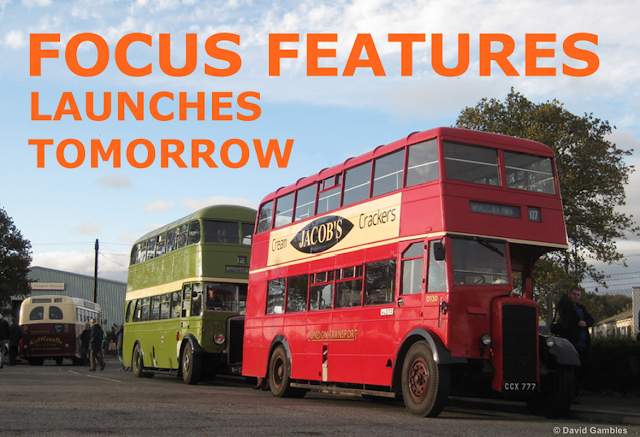 Our new Focus Features website will launch tomorrow, view this Blog from 9.30am tomorrow to see a link to the new Features website. 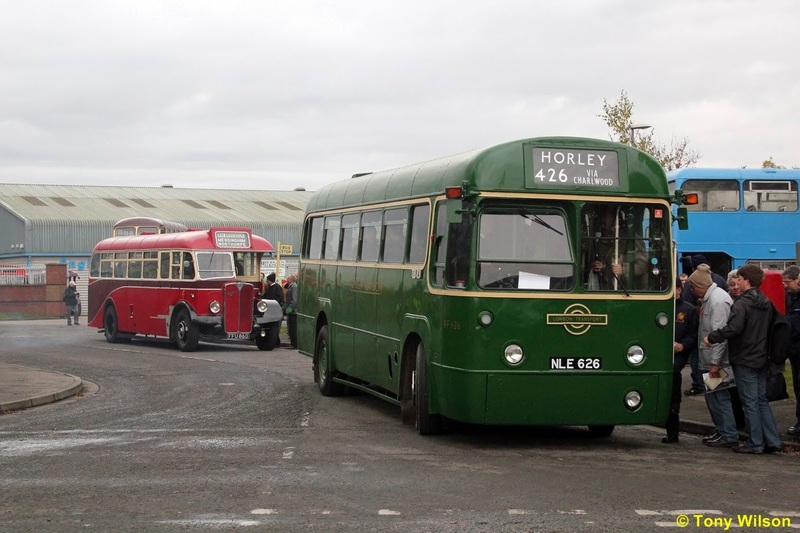 In the meantime as the image above suggests, be aware that also on Sunday it is the excellent annual LVVS event held at their museum premises on the outskirts of Lincoln. 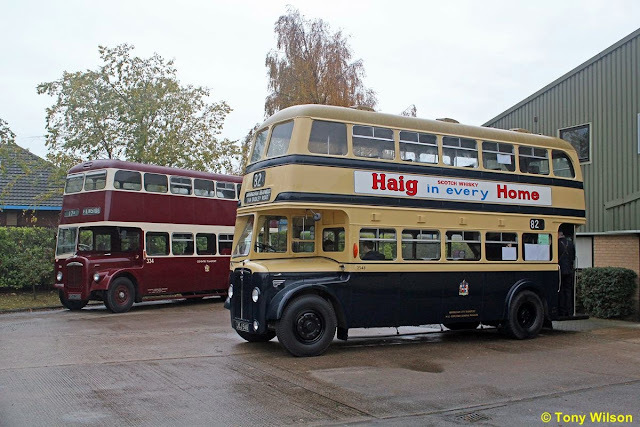 If up to the usual standard there will be a variety of vehicles present many of which will be in service on local routes and tours around the area, some of which follow here. A recent flying visit to Norwich saw a selection of buses pass by the lens. It was something of a mixed weather day that included gloom and rain showers, along with some sunny periods. 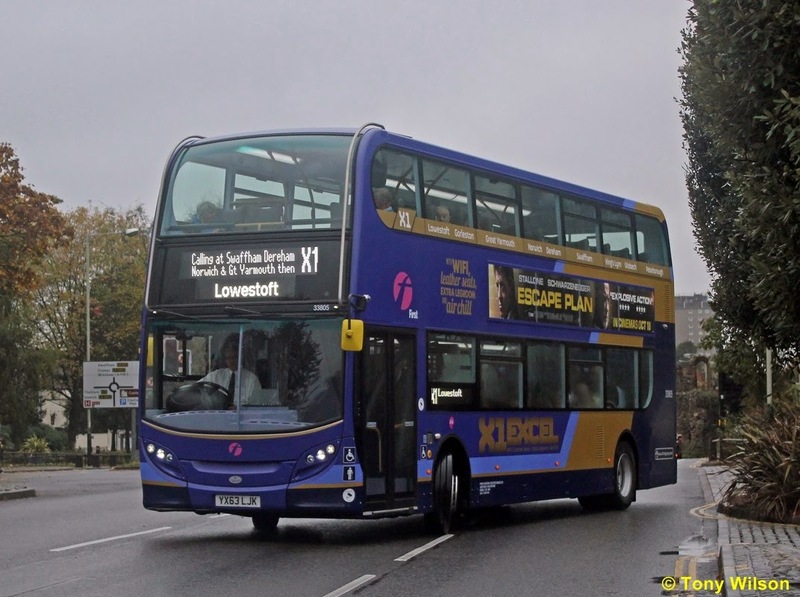 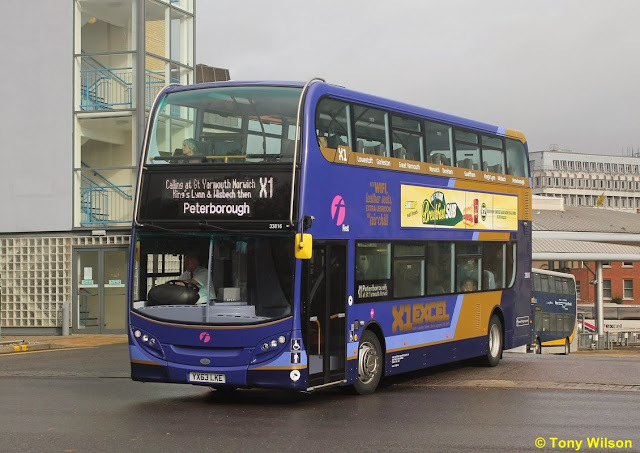 These conditions made for a variety of results, none more so accentuated than the blind displays on the fleet of new ADL Enviro400s recently introduced by First Eastern Counties on the long route X1 (Peterborough-Norwich-Great Yarmouth-Lowestoft). 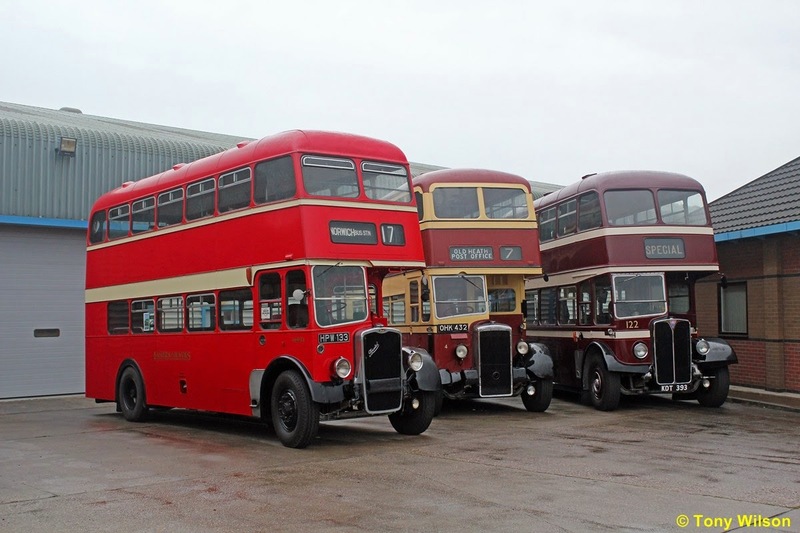 Apparently these are Mobitec displays supplied through McKenna Brothers.